Allen vs Stonewall basketball action shot with my 180mm: despite being nearly 30 years old and having an ugly scratch on the front element, this lens definitely delivers sharp action photos with the right technique. 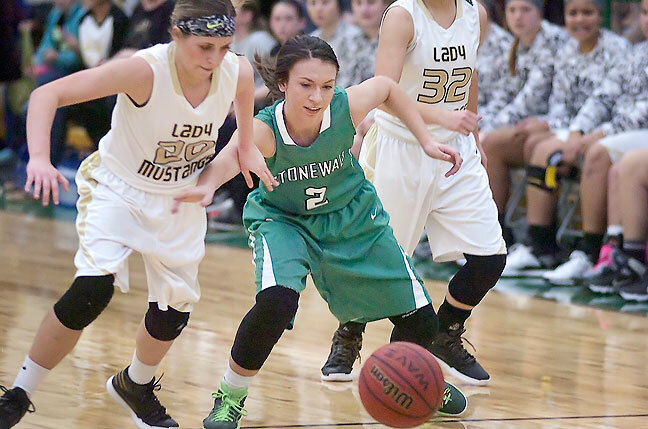 A year and a half ago, I penned a piece about working indoor sports like basketball, wrestling, volleyball and cheer using smaller, lighter, cheaper lenses than the full-time professional zoom lenses I often carry. 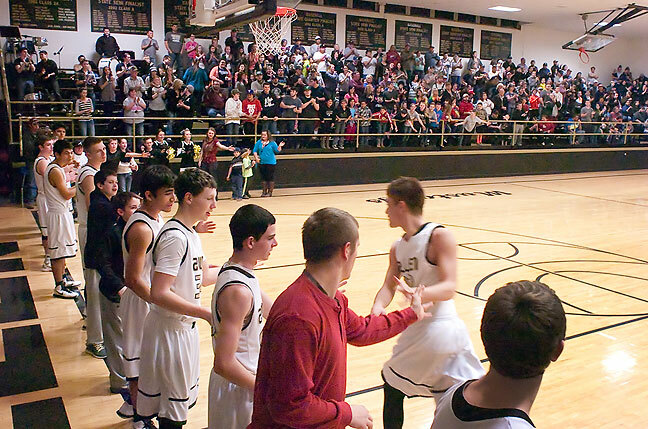 Fans greet their players during introductions at a high school basketball game recently. I used my 28mm held high over my head to make this one. Now that this year’s basketball season is entering the playoffs, I am using those big, heavy zooms, since they are more versatile and the situations are more diverse; not only action, but celebration and dejection, coach and player features, and fan reactions. But for much of the regular season when I just needed action and the occasional coach feature, I again tried to lighten my load. Since my 85mm died, however, I’ve switched up my gear for basketball a bit. I’ve had immense success this season with my AF-Nikkor 180mm f/2.8 combined with an AF-Nikkor 28mm f/2.8. 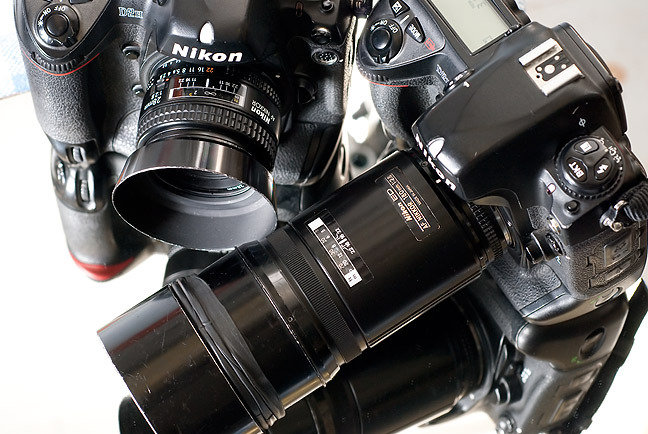 Both weigh a third as much as their zoom counterparts, and both are capable of excellent image quality. The only caveat is that when you shoot primes (non-zoom lenses), you have to be willing to “zoom with your feet.” Fortunately, I not only enjoy mobility, I am the kind of person who doesn’t really sit still anyway. The 180mm plus the 28mm are a good team for basketball and similar sports action and features. One thing the 180mm forces me to do since I can’t zoom out toward the short end is shoot really tight, really filling the frame. That can be challenging, but challenges are one way we can improve our skills. Go Cougars! I made this cheerleader feature from the baseline with my 180mm.